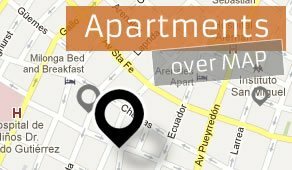 For Rent Argentina was founded in 2003. 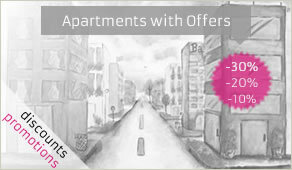 We are a Real Estate Agency and we specialize in temporary rental in the City of Buenos Aires. In every trip we’ve made around the world, we have searched for the same thing: “feeling like home”. Inspired by this feeling, we have decided to offer all our guests the chance of finding “their own” apartment in Buenos Aires. During our 10 years in business, we have received more than 100.000 guests from all over the world. Moreover, we are proud of being part of the directive committee of AAPIAT1 and of the Temporary Rental Comission of CUCICBA2. We believe in and encourage the constat innovation and permanent enhancement. This is why, we exert ourselves every day to provide the best service possible. 1. “AAPIAT: Asociación de Agencias y Propietarios de Inmuebles de Alquiler Temporario de la Ciudad Autónoma de Buenos Aires” – Agencies and owners of properties in temporary rental association of Buenos Aires. 2. “CUCICBA: Colegio Único de Corredores Inmobiliarios de la Ciudad de Buenos Aires” - Association of Real Estate Brokers in the City of Buenos Aires.